• Take Offz: Facial Cleanser & Moisturizer Luxe Sheets that can be used easily on the go to freshen up. No Water? No Problem! 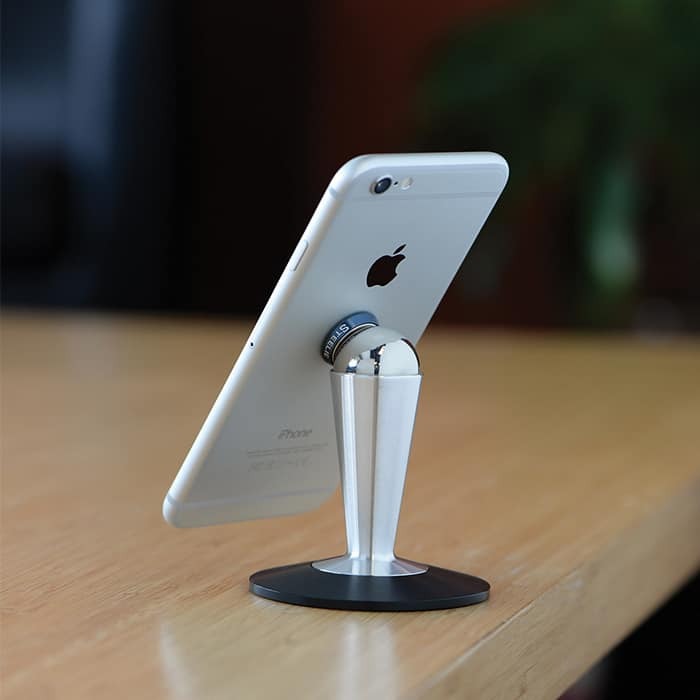 • In the Klear: Lens & Screen Cleaner Luxe Sheets for smart devices, glasses and more. • No Sweat: Antiperspirant Deodorant Luxe Sheets keep people cool and dry. • Speak Eazy: Mouth Cleansing Luxe Sheets are a mouthwash in a swipe. All Savvy Travelers products are TSA compliant and travel-friendly. For more information, visit the site at: www.savvytravelers.com or check us out at http://shop.nordstrom.com/. Pittsburgh-based AllerEase (part of family-owned American Textile Company) offers homeowners maximum mattress and/or pillow protectors. We spend 1/3 of our lives cheek to cheek with our bedding, so why not protect it and keep it clean? The average bed contains household allergens and 10,000 to 10 million dust mites, which can set off allergy and congestion symptoms. 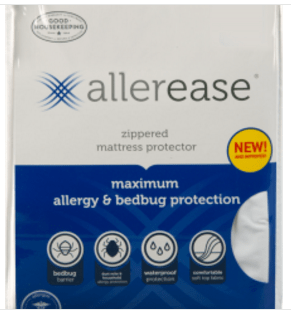 Currently, less than 10% of consumers use zippered allergen barrier mattress protectors like AllerEase, a key recommendation by allergists, to protect bedding and preserve the life of their mattress. AllerEase’s maximum barrier protects against dust mites, pet dander, bed bugs, pollen and other household allergens – providing the complete protection kit and helping you sleep better year-round. The pillow protector is also the perfect stocking stuffer! WorkSense’s clinically tested natural ingredients have been found to help people learn new information better, increase their accuracy and efficiency with specific tasks, and allow improved retention of information. PlaySense’s specially formulated pure essential oil ingredients have been clinically found to help improve endurance and speed, two key elements of physical performance. RestSense’s natural ingredients have been clinically found to improve relaxation and help reduce stress. Plus, the functional scents are easy to use! Simply apply the desired product directly under your nose before beginning an activity and allow the scent to help you work, play, or rest better. All xSense products are oil-based, alcohol-free, and only noticeable to the user. They can even be worn with your usual perfume or cologne! Fishing has continually been a go-to activity for people across the US – whether it’s summers spent on the dock or winters spent on the ice. In fact, it’s an activity that’s becoming more diverse in gender (42-percent of first-time fishers are women), race (Hispanics fished 5 times more than average) and age (30 percent of males, aged six to 12, fish) in the past two years. With fishing’s growth in popularity, here are some gifts from Rapala that can be the perfect stocking-stuffers and that are under $15, which happen to be some of the most popular items for experienced and new fishers. • Shadow Rap: Perfectly mimicking a minnow int he water, this lure reduces the need to move the it in the water and makes it easier to hook that big fish. • Scatter Rap Tail Daner: To reach the big fish that are often at the bottom of a lake, this lure sinks and then demonstrates an evasive, erratic action to attract fish. • Jigging Rap: Tried, tested and true, the Jigging Rap has a yo-yo style that is bound to attract fish all over the lake by creating the illusion of an easy meal. • Original Floating: A new take on the original lure, this is a go-to lure that is featured in almost every tackle box. Never before has it been so easy to stay connected to the digital world, and now it’s even simpler to stay connected to your mobile device, or better yet, keep your device connected to any surface – at home and on the go with the magnetic Steelie Desk & Dash System. Remember: good things come in small packages. The 3-in-1 LED Mini Flashlight may fit easily into your pocket, but don’t be deceived by its size. 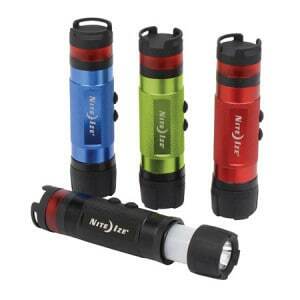 This fully featured flashlight can illuminate the night as a flashlight, lantern, or safety light. 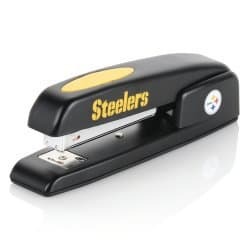 The world’s leader in home and office staplers The Swingline 747 now adorns your favorite NFL licensed team logo this season. Perfect for dorm rooms, desks, dads and football fans of all ages.Available at leading retailers and on Swingline.com. Arcadia Park Designs is filled with countless designs that can bring any season’s joy into your home. Activate your imagination with a bit of winter’s silvery elegance with Arcadia Park Designs’ Ice Color Way. The Anastasia Veronese and Scrolling pillows are inspired by coiling fresco tendrils adorning the ceiling of Verona’s Sant’Anastasia Church. Palazzo II brings a very subtle frost palate into play. This winter hued line, with rich details and swirling shades of grey layered on a cool caress of silk, creatively captures the essence of winter. 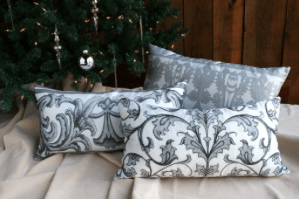 Each luxurious pillow has a faux down, cruelty-free, hypoallergenic insert that is made in the USA. From small accent rugs to large area rugs, Ruggable® can fulfill its function in any space, such as bedrooms, living rooms and outdoor patios. Keep up with the trends with Ruggable’s interchangeable rug designs. Offered in a variety of different designs, including solid, chevron, fretwork, floral, and shag- there is a rug to match any home for any season. Colors available are black, white, grey, tobacco, and aqua blue. Sizes available are 2.5×7, 3×5, and 5×7. In addition, the 8×10 has now been released! Ruggable® is purposefully designed to be repeatedly removed, washed, and reapplied! The water-resistant surface allows any dirt or spill to be easily wiped off, and the wool-free design helps reduce dust and other allergens. The 2-Piece Rug System is also lightweight and portable. The affordable 2-piece sets retail for $79.99 to $299.99 at www.kohls.com, www.diapers.com, and www.ruggable.com and in California Lowes Home Improvement stores. Everyone loves to redecorate, especially when the process is cheap & easy! Venture into the changing seasons with Tempaper’s self-adhesive, repositionable, removable wallpaper. Among the Tempaper Textured Collection, the ALL NEW Repurposed Wood design adds rustic charm to any room with its reclaimed lumber look. Sold in two color ways: Weathered and Multi-Color. • High-quality product with price ranging from $56-$125 per roll. 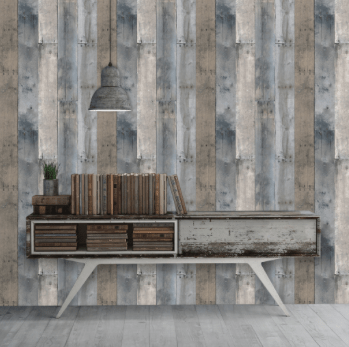 And with the on-trend surface designs as all the rage, easily update any room with either the Multi-Color Repurposed Wood or the Weathered Wood design – both are an affordable $98 a roll! Sold as 1 double roll of 20.5 in. x 11 yds. 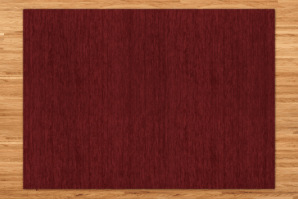 = 56.37 sq. ft. When kids unwrap their presents, shouldn’t they have the reward of instant gratification after being good all year? The only thing on their minds will be their new toys. But time and time again, parents forget one little phrase: “batteries not included,” accidentally crushing Christmas cheer. Make sure your readers remember batteries this holiday season and make sure they choose the first-ever battery that uses recycled battery material: Energizer® EcoAdvanced™ , the company’s longest-lasting alkaline battery. For parents who want to be eco-friendly and a hero on Christmas, Energizer EcoAdvanced is their solution to preventing a Christmas-morning meltdown. The Northwest, the official licensee of the NFL, premium blankets, throws and accessories are the perfect gift for any age. With the holiday season just around the corner, consumers everywhere are busy planning holiday meals, preparing their homes for hosting holiday soirees and getting ready to welcome an influx of holiday guests. While the Holidays are a festive time for everyone, many consumers may feel stressed just thinking about making their home presentable as well as keeping their home clean and tidy once guests arrive. Luckily, FECA USA features a variety of unique, space-saving products that allow consumers to confidently welcome guests into an organized home this holiday season including their Stainless Steel Coat Rack, Signature Multi-Purpose Hooks, Double Roll Toilet Paper Holder, Signature Towel Bar, Spice Jars, Small Trash Bag Holder, Adjustable Mobile and Tablet Holder, Storage Caddy and Mini LED Lights. This innovative reusable coffee and tea cup is made from high quality shock resistant thermal borosilicate glass, preserving the ideal taste of your beverage, for a purer taste than drinking from plastic (or paper). The thermal silicone sleeve keeps your drink (and your hands!) at the ideal temperature and with 15 colorful styles to choose from, there’s sure to be one to please every fashionista on your list. JOCO cares for your health and the health of our environment. The cups are free of chemicals like BPA, lead and cadmium and ditching disposable cups will reduce your environmental impact. Its 100% recyclable canister can be reused for anything from storing office supplies to planting seedlings. 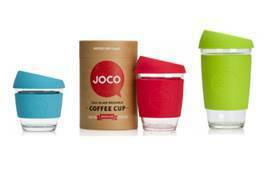 JOCO Cups are modeled after standard 8, 12 and 16 oz. barista-certified sizes, so you can bring them to your favorite coffee shop for refills. Finally, the lids are splash-safe and feature a nose dome ensuring no more embarrassing nose to-lid collisions. Great for casseroles, braises, stews and other hearty one-pot meals, this deep, straight-sided oven features All-Clad’s signature seven-ply construction for top performance—whether you’re sautéing, searing or simmering. The oven doubles as serveware, transitioning seamlessly from the stove to the table. 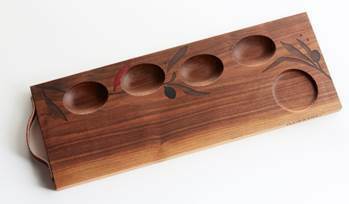 Brooklyn based design duo Molly Fitzsimons and Christopher Moore of Noble Goods hand-crafts wooden serving trays in their Brooklyn studio and recently introduced the Ruffino Bruschetta Board, inspired by their appreciation of Tuscany’s rich culinary heritage, embodied by the classic Ruffino Winery. Great for making an appetizer or “bruschetta bar,” by laying out chopped ingredients for guests to assemble their own favorite snacks! It gives guests a communal activity to socialize over and lets guests them customize their own dishes so they end up happier. Sitting is the new smoking and with 86% of the workforce sitting for 7.7 hrs per day, individuals are starting to wise up and transition to standing desks. Fluidstance: a crazy new take on the standing desk phenomenon, launched the Level, a work platform that was designed to keep you moving w/subtle motion while at home. The LEVEL increases your heart rate 15% as compared to sitting, and your range of motion 20x vs standing – providing the amount of lower leg motion similar to what you would experience while walking. The Original Bamboo Level ($429) is made entirely in the USA from military-grade aluminum and renewable bamboo. Additionally, 98% of materials are sourced within 500 miles of the brand’s Santa Barbara headquarters. Other versions include maple ($289) and walnut ($339) Levels, with stylish new limited-edition colors (sleigh, blue coal and snow – $489), have been introduced for Holiday 2015 (samples available now, hitting the ecommerce site in mid-Nov.). Created by serial entrepreneur Joel Heath, former Brand President of Teva footwear and founder of the [GoPro] Mountain Games, the LEVEL has been purchased by companies like Adidas and Sonos for employees using standing desks, while consumer sales also continue to soar. No standing desk? No problem. Use the LEVEL at home while idle.